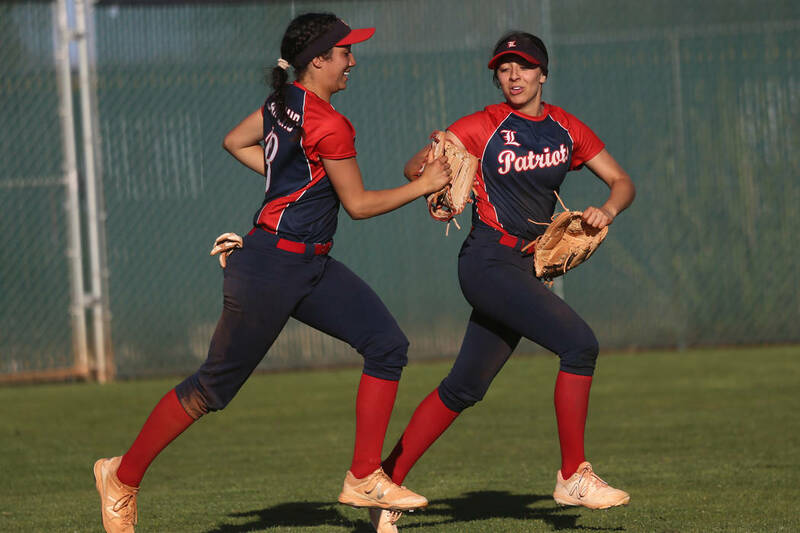 The seventh-ranked Patriots scored eight runs in the sixth inning and eight more in the seventh to rally for an 18-4 win at 10th-ranked Desert Oasis. 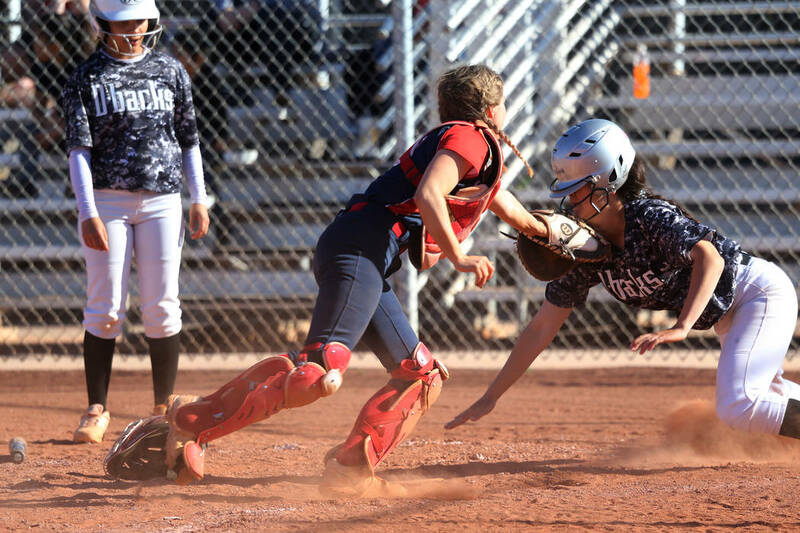 Liberty softball coach Jim Portese thought his team might start slow and finish strong Wednesday. 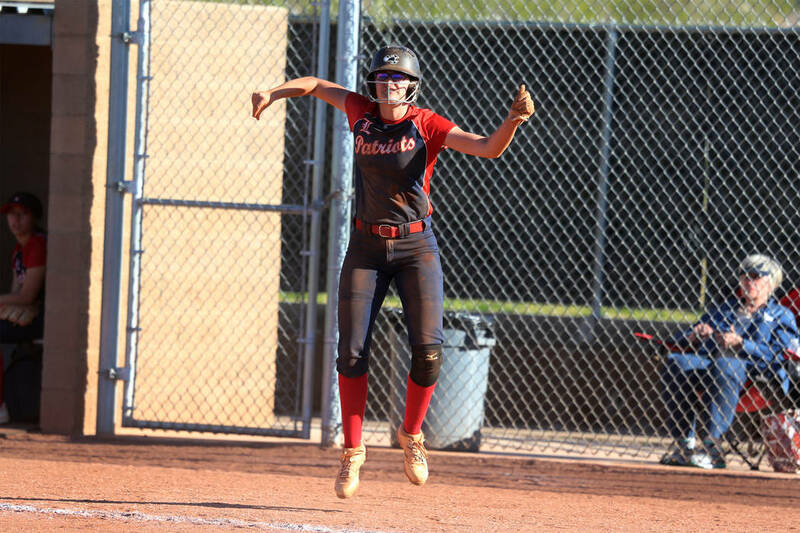 Liberty (7-1, 3-1 Desert League) wasn’t exactly dormant in the first five innings, but managed only two runs on eight hits and committed four errors, which led to three unearned runs. 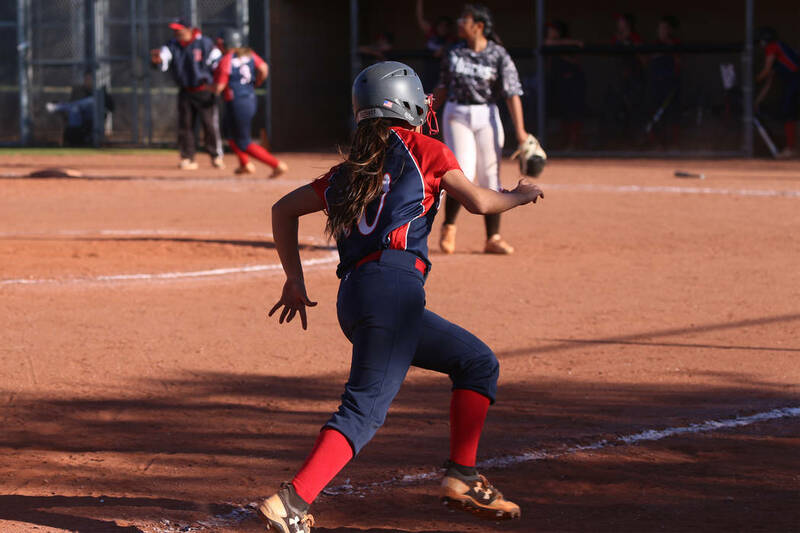 And even the sixth inning didn’t start particularly well for Liberty. 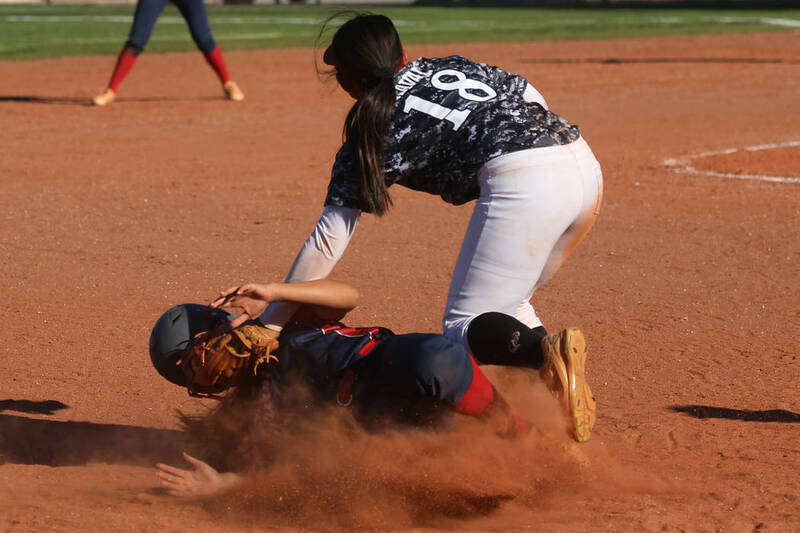 Pinch-runner Rebecca Warren was caught in a rundown for the first out, and Maddison Hamilton struck out after Shelby Carvalho scored on a wild pitch. 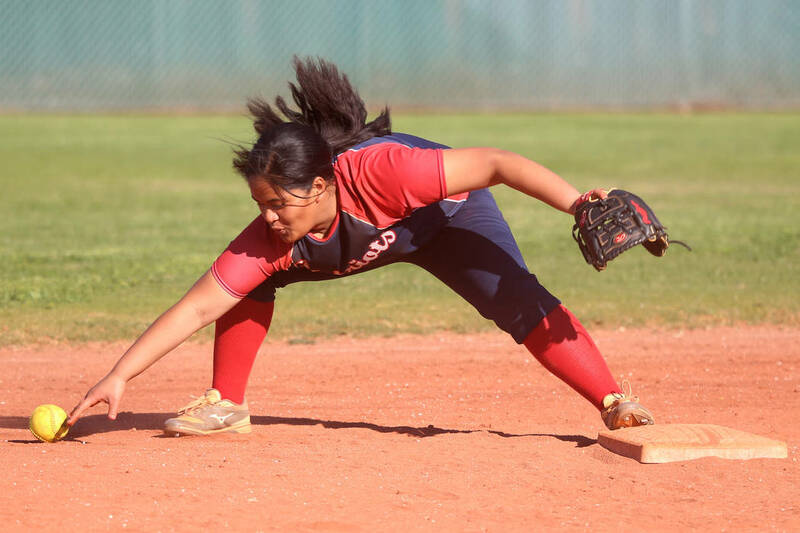 But Debra Tofi reached on an error with two outs, and the floodgates opened. 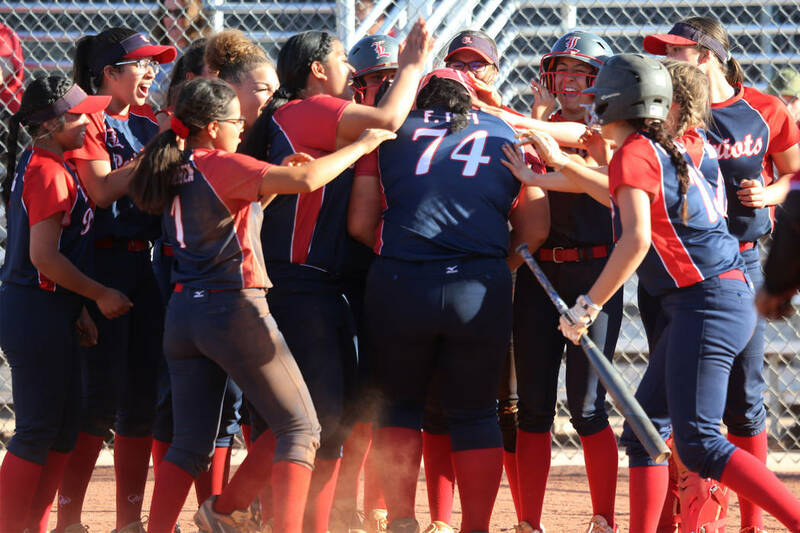 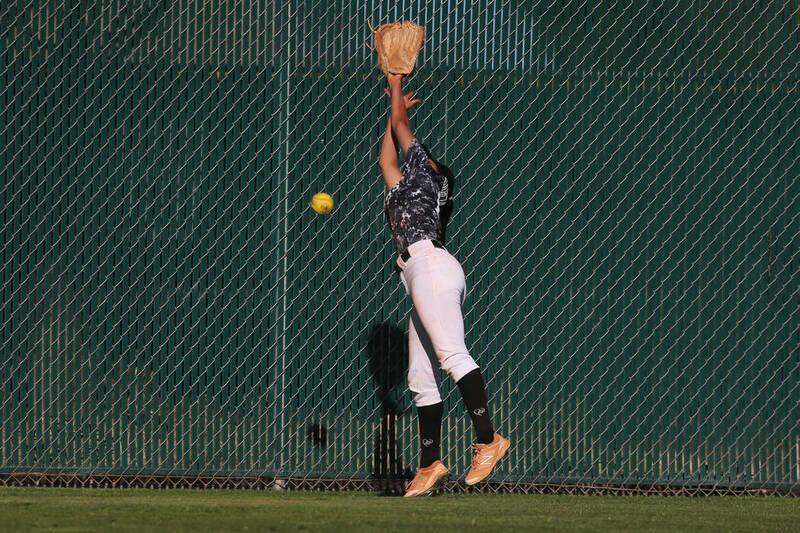 After the tying run scored on another error, McKenzie Hamilton, Jessica Meza and Jenna Thomason all had run-scoring hits, and Fia Tofi blasted a two-run home run to center field to give Liberty a 10-4 lead. 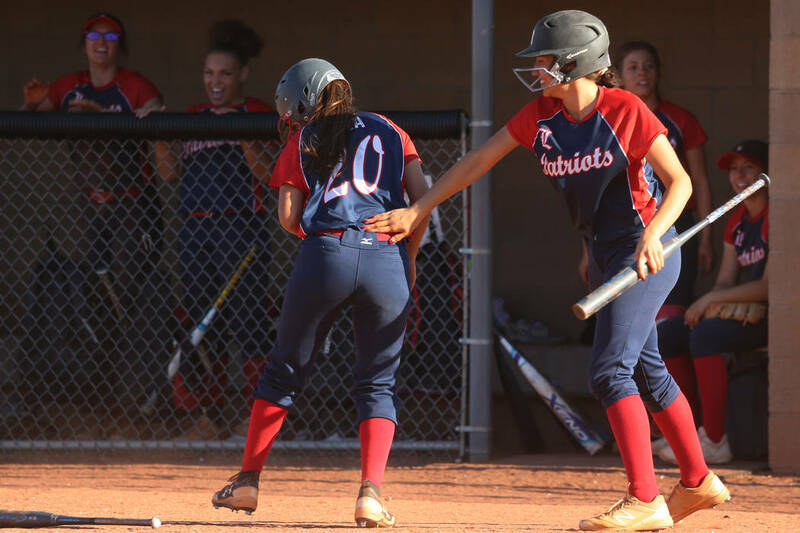 Meza added a two-run triple, and Maddison Hamilton had two hits and two RBIs in the seventh inning as Liberty sent 23 hitters to the plate in the final two innings, going 10-for-15 with runners on base in the two innings. 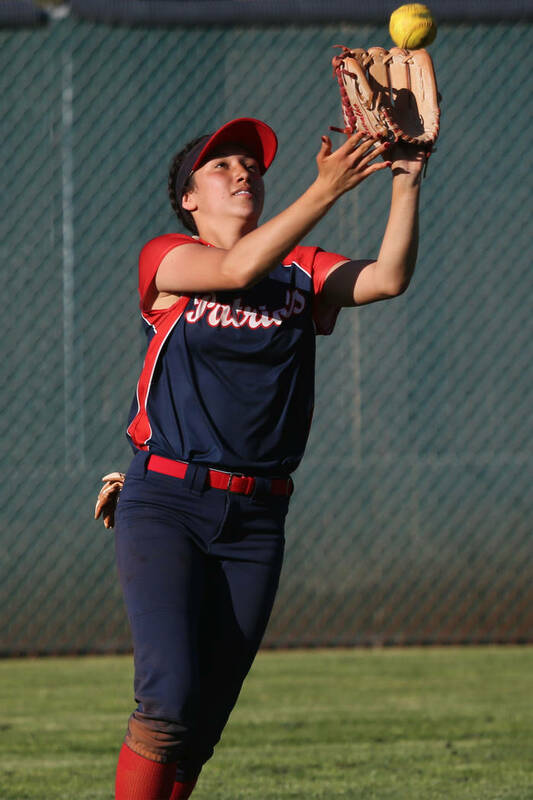 “With this team, it’s a matter of time,” Portese said. 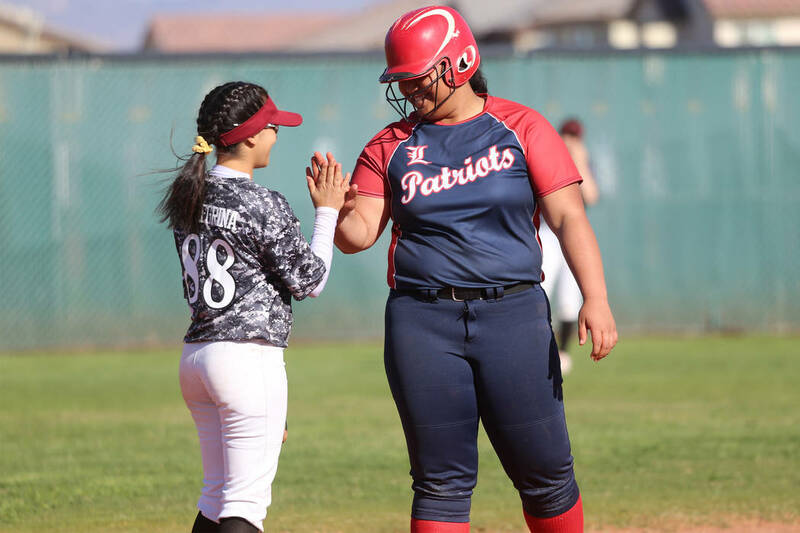 Meza allowed 12 hits, but stranded 10 runners. 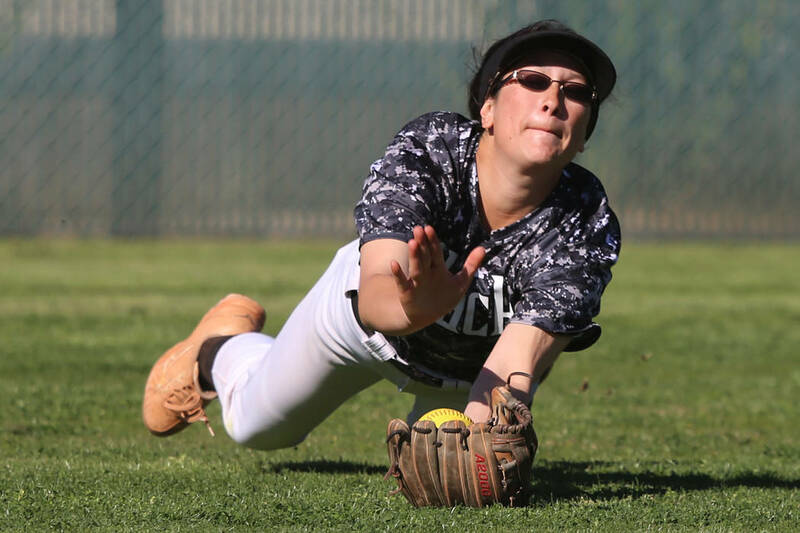 “I have an amazing defense behind me, and that really gives me a lot of confidence in the circle,” Meza said. 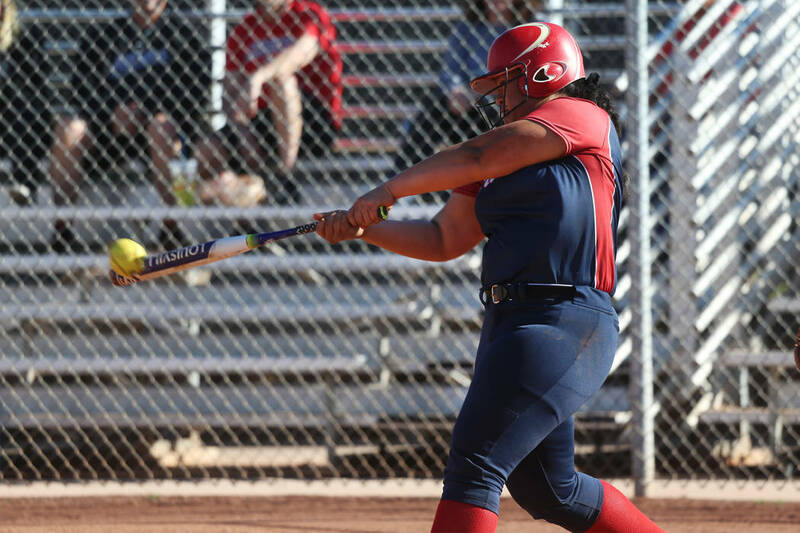 Every Liberty starter had a hit and scored a run. 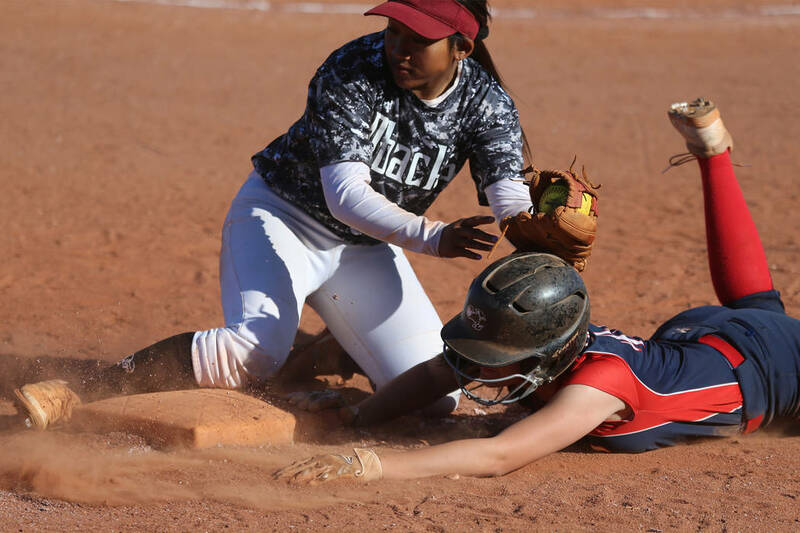 Paisley Garcia went 3-for-4 with an RBI for Desert Oasis (9-9, 3-1). 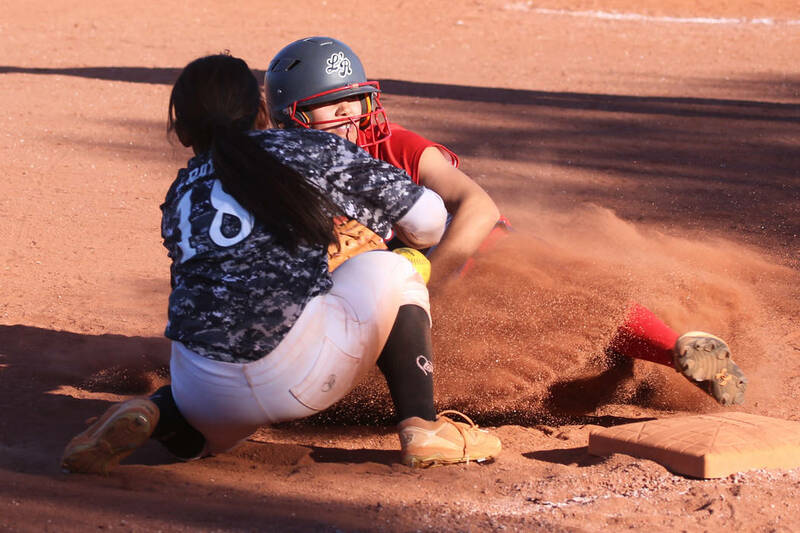 Every Diamondback starter also had a hit.